A fit lifestyle means that you are eating healthy and moving enough. The outline of your waist is therefore not that important. If you eat well and regularly, and get a lot of energy from working out (or whatever sport it may be), then you’re a Fit Girl! It’s a shame that many people think that a Fit Girl must be thin and well-trained. A fit lifestyle is after all a life, not an external feature. It’s time to put the stereotype of thin Fit Girls aside and appreciate our own body. We only got one body so we better be pleased and take care of it, right? It’s so much more important that you feel confident in your skin than trying to fit into the ‘skinny girl’ image of what a ‘Fit Girl’ is meant to look like. If you feel good about what you are eating and are energized by sports, then you will feel confident in your body! Luckily, we are not only about our journey towards self-compassion. On Instagram you can find enough women who don’t fit into a size 2 but are extremely proud of their body. This is how it should be! For instance, take a look at Fiona Falkner (@fionafalkiner). She once participated in the Australian television show The Biggest Loser and now she’s the one who hosts it! Further, she inspires women to pick up some weights and get fit, but more importantly, she shows us that we can be happy in our own body. Also Jessamyn Stanley (@mynameisjessamyn) has shown us that you don’t have to be thin to be fit! On her Instagram she not only shows awesome yoga poses, she also shows her beautiful body. She shows us that bigger women don’t not have to be ashamed of anything! Do you want to see more Fit Girls promoting body positivity on your Instagram feed? Then you could also look at @whitneywaythore, @getfitjules, @chicksgetfitdone, or @ladybeastjuju. A fit lifestyle is not about what your body looks like, but how you feel in it. Don’t focus on the number that’s shown by the scale. Let your Fit Journey depend on how you feel in your own body. Be proud of your body and what you achieved! Take a look here for more inspirational Fit Girls to follow on Instagram. Do you want to start your Fit Journey but don’t know how? 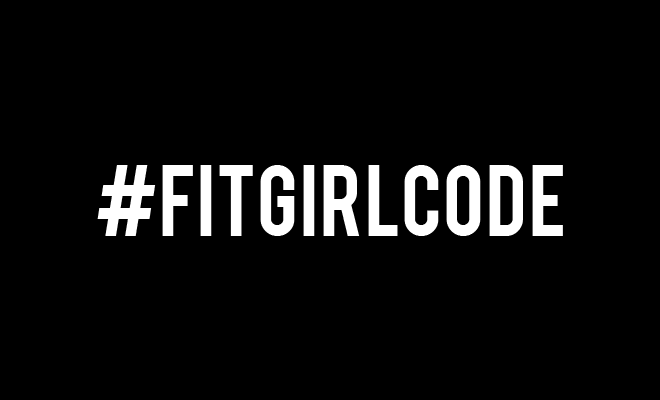 The Fitgirlcode Guide can help you every step of the way! Want to know more about me? Follow me on Instagram @rooshijwegen!